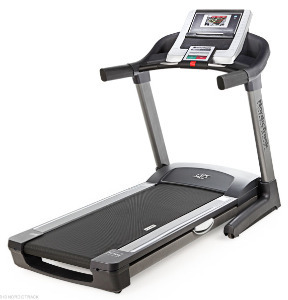 Check out our BEST TREADMILLS IN THE $1000-$2000 RANGE page for easy reference. 0.5-12 mph 1-12 mph 1-12 mph 10 mph max. Belt Size/ Construction 20" x 56" Tread Belt 20" x 55" Tread Belt 20" x 55" Tread Belt 20" x 52" Running Belt 20" x 60" Tread Belt 20" x 60" Tread Belt 20" x 58" Tread Belt 18" x 50"
High Density 2-Ply Urethane 20" x 60"
20" x 58" 20" x 55" 20" x 60" Tread Belt 20" x 60" 20" x 57"
2-Ply Belt 20" x 60"
2-Ply Commercial Grade Belt 20" x 55" 20" x 60" 20" x 60" 20" x 60" Commercial Treadbelt 20" x 55" QuickTech™ Belt 20" x 55" QuickTech™ Belt 20" x 50"
20" x 55" Running Belt 20" x 55" Tread Belt 19" x 54" 19" x 54" 20" x 56" 20" x 60" 2-Ply Commercial Treadbelt 20" x 55" Tread Belt 20" x 58" 20" x 58" 20" x 58" 20" x 60" Whisper Weave Treadbelt 20" x 60" 20" x 56" Tread Belt 20" x 60" 2-Ply Treadbelt 20" x 60" 19" x 53" 20" x 60"
2-Ply 20" x 60" 20" x 60" Commercial Tread Belt 22" x 60" 20" x 60" 20" x 55" Tread Belt 20" x 60" 20" x 60"
Commercial Quiet Treadbelt N/A 20" x 60" 22" x 60" 19" x 53" 20" x 60" 20" x 60" 20" x 62" 20" x 58" 20" x 60" 20" x 54" 22" x 60" 22" x 60" 20" x 60" Tread Belt 20" x 60" N/A 20" x 60"
2-Ply urethane Treadbelt 20" x 60" Tread Belt 20" x 60" Commercial Quiet Belt 20" x 60" 20" x 60" 20" x 60" 20" x 55" 20" x 56" Tread Belt 20" x 55" 22" x 60" 20" x 62"
Deck Size/ Cushioning 34.5" x 76" 37" x 71" 34" x 75.5" 34" x 69"
Progressive Shock Absorption 37" x 78"
StrideFlex™ Cushioning 35" x 83" 33.1" x 79.5" 31" x 63"
6-Point Deck Suspension 36" x 80"
SoftTrak™ Suspension Deck 33" x 77" AirStride™ Adjustable Cushioning SoftTrack™ Cushioning 28" x 76"
Softrak II Deck Cushioning 35" x 83"
Swing-Arm™ Shock Absorption 35.5" x 73" 31" x 75.5"
Softrak™ Suspension Deck 32" x 79"
33" x 80" 34" x 79"
Floating Deck shock absorption system. 36" x 80"
SRS Surface Response Suspension 32" x 76" SoftTrac™ Cushioning DMX™ Adjustable Impact Absorption 32" x 73" 35" x 83"
Strike Zone™ deck suspension 35" x 75"
Stable Flex Shock Absorption 35" x 84"
RunnersSoft™ System Cushioning Durastride™ Adjustable Cushioning 35" x 80" 33" x 80" 35.5" x 73" 33" x 81" Adjustable Impact Reducing Cushioning Dual-Motion Treadles 33.6" x 76.5"
Superior Multi-Point Deck Absorption 37" x 83" 6-point Shock Absorption System DuraStride™ Adjustable Cushioning 33" x 80" 35" x 82" 34" x 78" 33" x 80" 31" x 74" Quadflex™ Cushioning 30" x 80" 33" x 74" 36" x 80"
SRS Surface Response Suspension Dual-Motion Treadles 32" x 77"
6-point Deck Suspension 36.6" x 82.3" BioStride™ Cushioning Adjustable Cushioning 35" x 79"
RunnerFirm™ System Cushioning 36.6" x 72.2"
Runners Flex™ Cushioning Reflex™ Cushioning ProShox Plus™ Cushioning 35" x 73"
Hydra-Suspension™ System 35" x 80" 34" x 65"